In UK you’ll find charming villages, rolling hills, wild landscapes, wonderful castles, alternative culture, and some of the world’s most iconic sites. Visit our travel guide to explore incredible places to visit in United Kingdom – tower of London, Hylands house and estate, St Paul’s Cathedral, Westminster Abbey, Flamingo Land Theme Park and Zoo, Chester Zoo, Windermere Boat Cruises, The Royal Academy of Arts, Stonehenge, The house of parliament and Big Ben, etc. 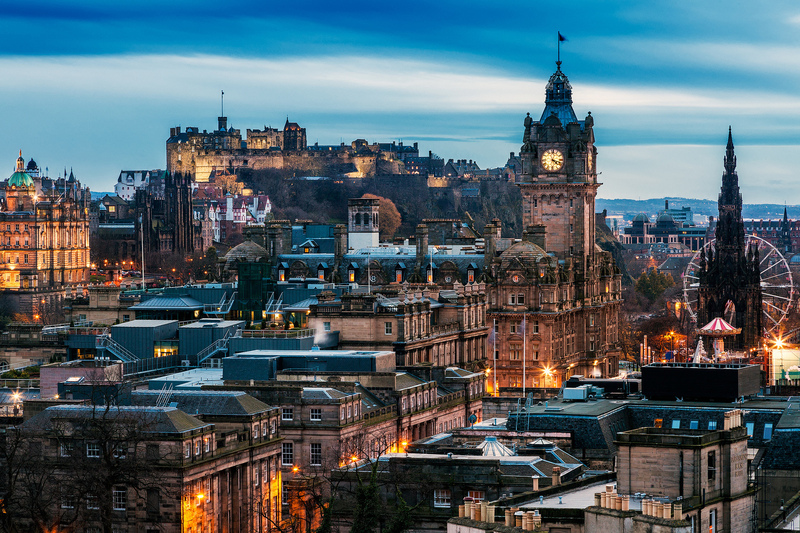 A full day tour, taking in some of the most dramatic scenery of the Scottish Highlands From Edinburgh we travel northwest, passing the imposing Stirling Castle, before making our first stop at Kilmahog. 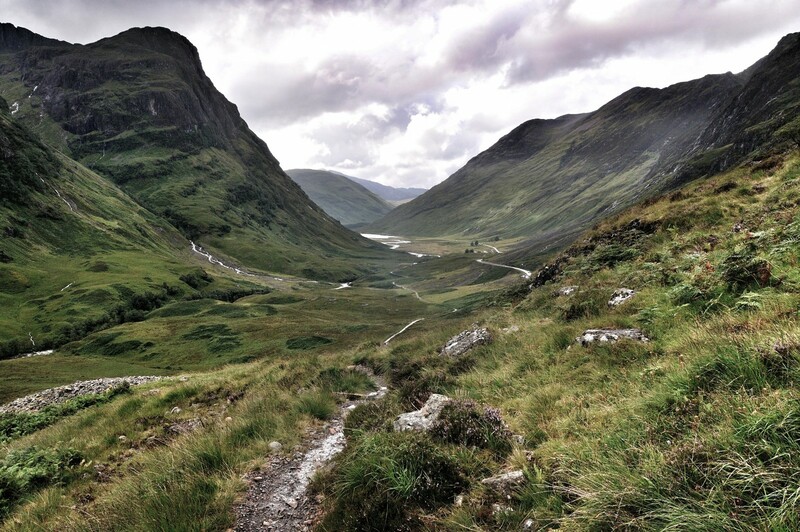 We travel on through Rob Roy Country of Clans MacGregor and Campbell then over the desolate landscape of Rannoch Moor and the Black Mount to Glencoe, one of Scotland's most famous glens, site of the 1692 massacre of the Clan MacDonald. Continuing via Loch Linnhe, we stop in the Fort William area for lunch then continue into the natural beauty of the Great Glen as we pass beneath Britain's highest mountain, Ben Nevis. Travelling on, we admire the Caledonian Canal and the pretty village of Fort Augustus, enjoying spectacular views of Loch Ness as we drive along the 24-mile shoreline to Urquhart Castle. 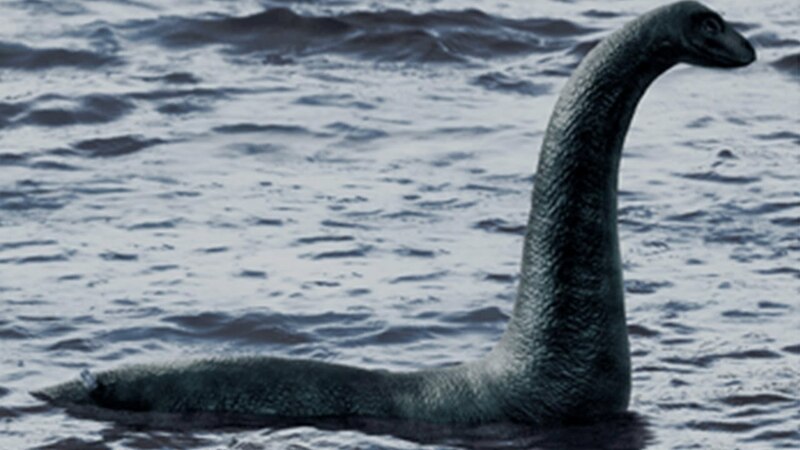 Loch Ness, 24 miles long and over 700 feet deep, is more famous for its sightings of the Loch Ness monster, affectionately known as "Nessie". 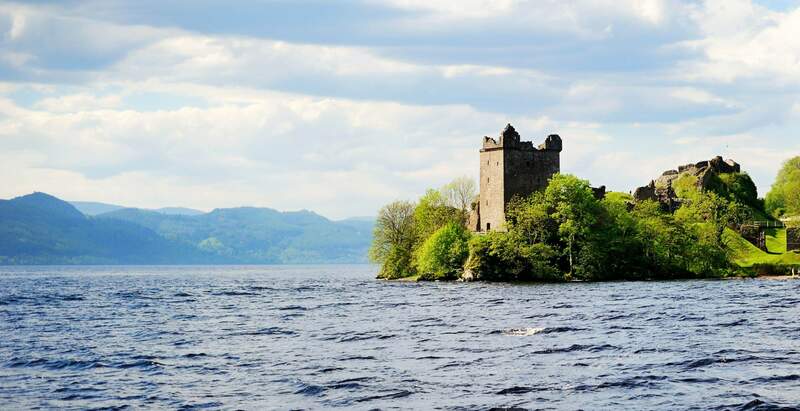 Spend approximately 2 hours at Loch Ness, where you can choose to take a wonderful Jacobite loch cruise and explore the ruins of Urquhart Castle and its modern visitor centre. 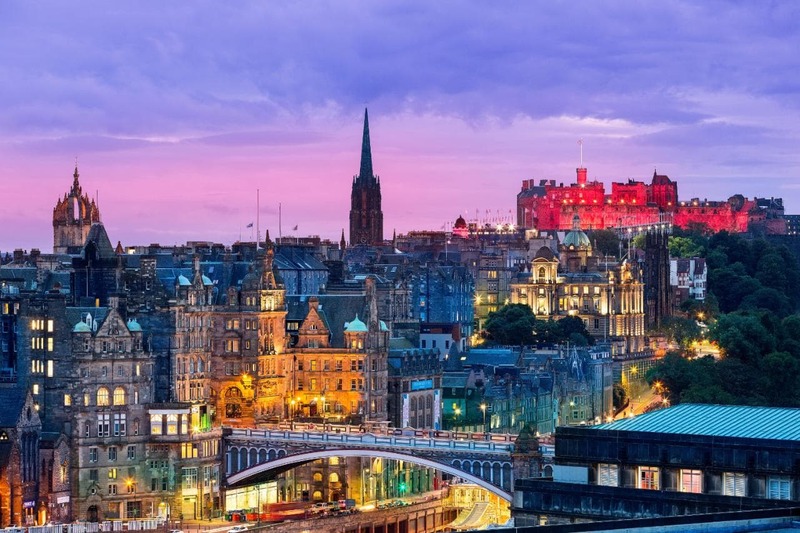 At Inverness, Capital of the Highlands, we start our return for home, crossing the Grampian Mountains and the woodland scenery of Perthshire, including the Forest of Atholl, with an evening stop at the Victorian resort town of Pitlochry. Transport by luxurious 16-seat Mercedes coach, services of a highly knowledgeable professional Timber bush driver guide and the Timber bush Pocket Pass, which entitles the holder to discounts at a range of venues in Glasgow and Edinburgh. Breakfast will serve at Hotel. Day is free for own activities. 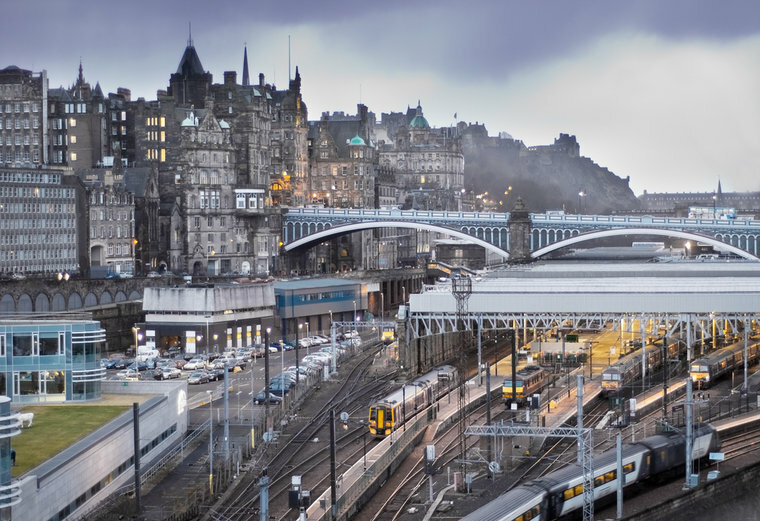 Arrive at Edinburgh Station & transfer to London Station through local train. Take transfers to Hotel at your own. Check in Hotel. Rest of time is free for your own activities. A complete full day tour of London including St Paul's Cathedral, Changing of the Guard, the Tower of London and a Thames River Cruise. 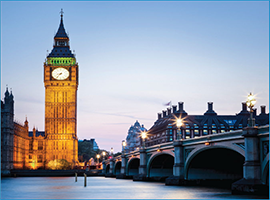 The tour begins with a panoramic drive around parliament square to see Westminster Abbey, where many Kings, Queens, Statesmen, poets and writers are buried. See Big Ben and the Houses of Parliaments. 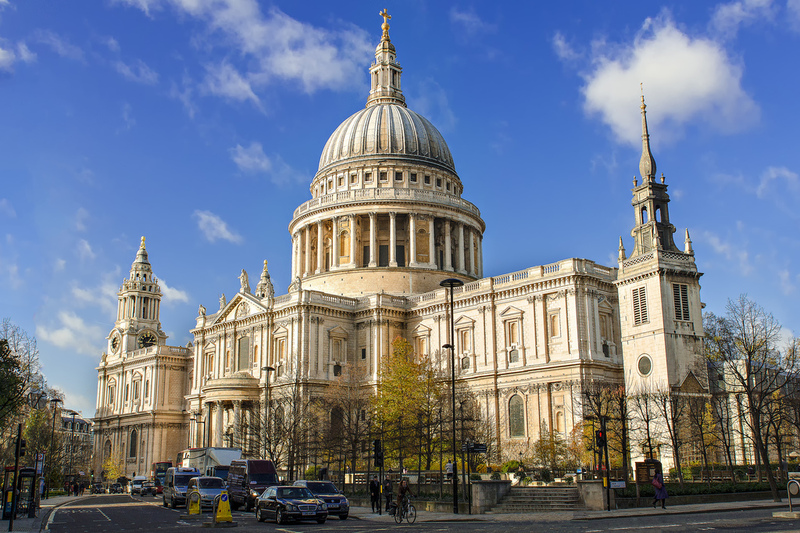 You'll visit St Paul's Cathedral where you'll have a guided tour. It was the wedding place of Prince Charles and Princess Diana plus many other special Royal occasions. We'll then drive on to Buckingham Palace where we'll see the famous ceremony of the Changing of the Guards. After this we'll make our way to a traditional English pub where you'll have the opportunity to enjoy a traditional English dish of Fish and chips or Sausages and mash (lunch not included). On arrival at the Tower of London the splendidly dressed Beefeaters will tell you about the Tower's history and the crown Jewels. 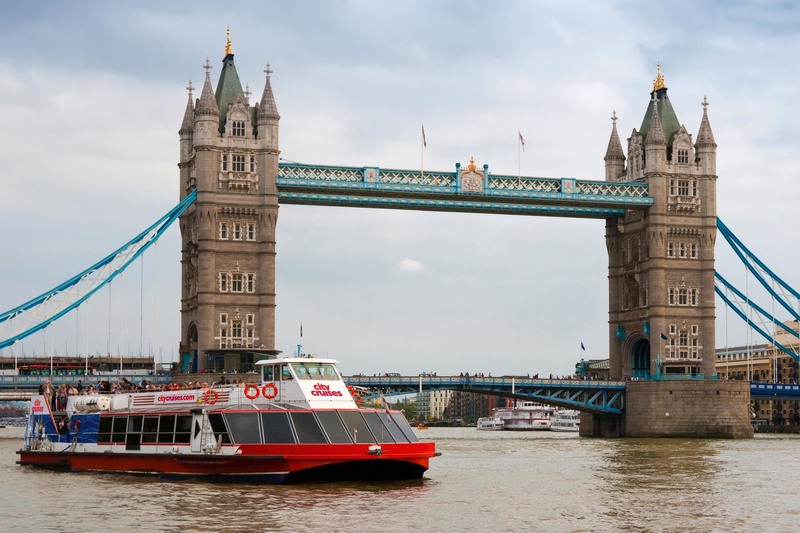 After visiting the Tower of London, you will have the option to finish the tour and join a Thames River cruise where you'll get stunning uninterrupted views of the Gothic style House of Parliament or keep your cruise ticket to use at your leisure another day. Take a flight on Merlin Entertainment's London Eye, a visually striking structure and the world's largest observation wheel. 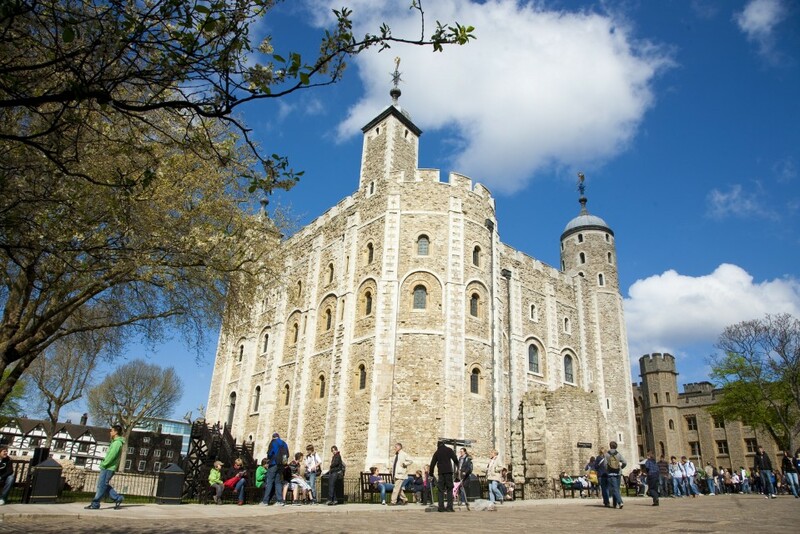 As you ascend over the Thames you will see London's famous streets, churches, palaces and monuments spread out below in a panoramic scene giving you a new perspective of a great city! On a clear day the views can stretch as far as 25 miles to Windsor Castle. 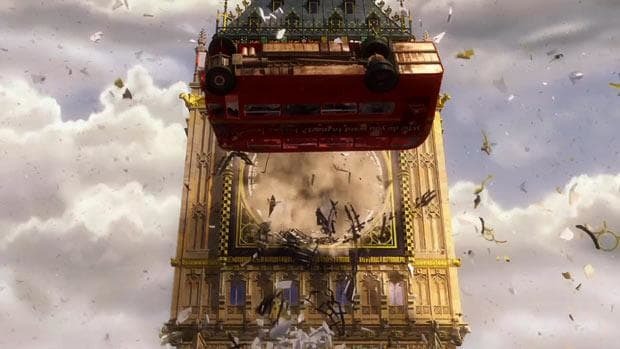 Visitor to the London Eye can now experience a four minute 4D film focused on the journey of a little girl and her father in London in which they visit the London Eye and enjoy a spectacular take on the capital. 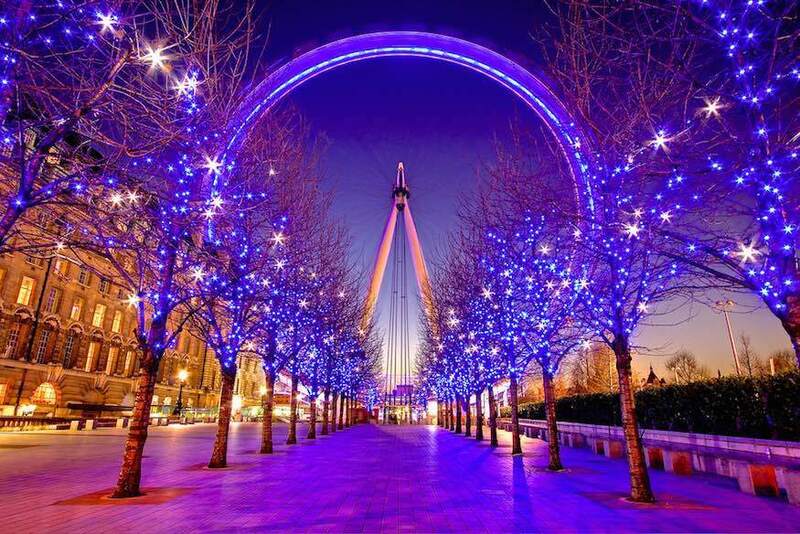 Their experience is brought to life with vibrant 3D images of colourful parties and events inside the London Eye capsules, dramatic firework displays, snowfall over the city, revolutionary aerial footage of other iconic landmarks and sophisticated, fun 4D effects. Visitors will feel like they are really there. Visit Madame Tussauds for a fully interactive experience. You can interact with the rich and famous and also enter the interactive show dome plus enjoy the Marvel Super Heroes 4D experience. Madame Tussauds is one of London's hottest attractions. 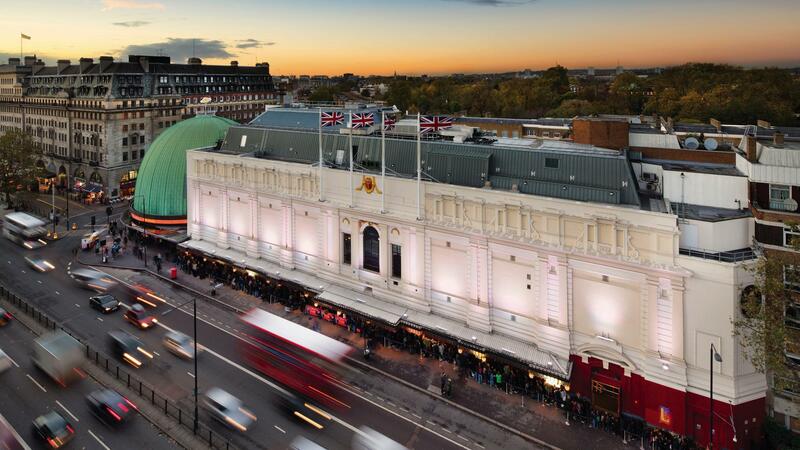 It’s both visually immersive and interactive and should be top of your list when visiting London. As you wander around Madame Tussauds you will stumble across an endless number of famous faces including David Beckham, Kylie Minogue, President Bush, Tony Blair and many more. You can also interact with the model celebrities, for example, you can be there when David Beckham prepares to take one of his famous free kicks and feel the beat of his heart and tremble as the floor vibrates beneath your feet!! 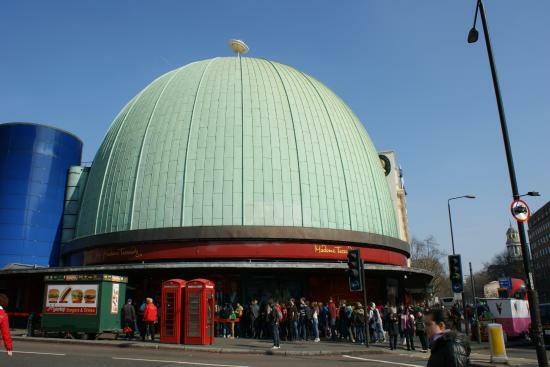 Then you can go through to the London Stardome and explore this interactive show dome. You will also get to experience 'Scream' which is a maximum security prison taken over by the unhinged inmates, their mission is to give you nightmares. This is not suitable for children under the aged of 12 or for people of a nervous disposition. Now also offering a new visitor experience Marvel Super Heroes 4D that will bring to life some of the world's best loved Super Heroes through a mix of 4D animation, interactive themed areas and startling realistic Madame Tussauds wax figures. Skip the queues by reporting directly to Doors 3 and 4, the pre-booked ticket entrance where you need to exchange your voucher for your joint ticket to Madame Tussauds. After Breakfast check out from hotel. 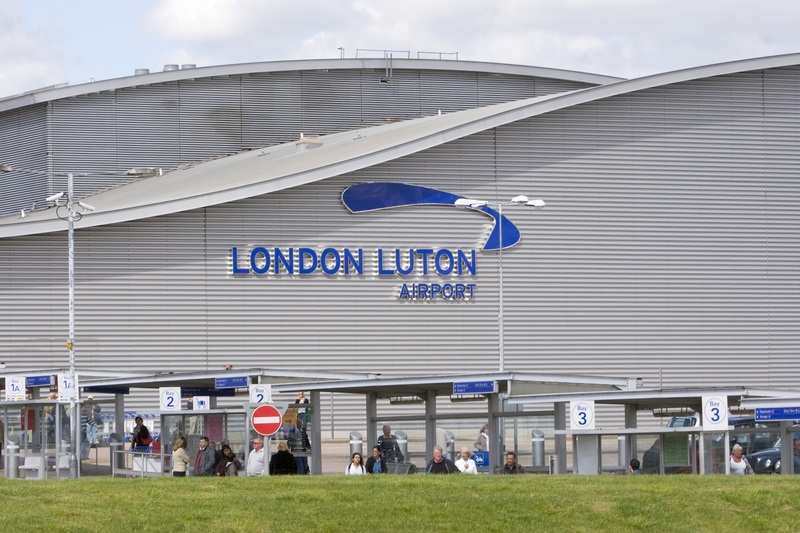 Take transfers from Hotel to Airport to board your flight to India.